Whenever master Baizhang delivered a sermon, an old man was always there listening with the monks. When they left, he left too. One day, however, he remained behind. After the meal, the master led the monks to the foot of a rock behind the mountain and with his staff poked out the dead body of a fox. He then performed the ceremony of cremation. That evening the master ascended the rostrum in the hall and told the monks the story. Huangbo then went up to the master and slapped him. Not falling under the law of cause and effect - for what reason had he fallen into the state of a fox? The law of cause and effect cannot be obscured - for what reason has he been released from a fox's body? If in regard to this you have the one eye, then you will understand that the former Baizhang enjoyed 500 lives of grace as a fox. A thousands mistakes, ten thousand mistakes. The former's "not subject," the latter's "not blind" -- is there any gain or loss? If there is no causality, how can ther be subjection and release? If there is, try to come forth and express it clearly. Clearly saying "not subject," when was the old man ever mistaken? Pointedly saying "not blind," how did Baizhang ever understand? Nonsubjection and nonblindness distinctly represent the true state. Rising and sinking in the totality, there is nothing taboo. "Wrong" is its own wrong; "right" is whose right? Questioning again, he had it brought up once more. With an opposing wind he shouted him around, so the thunder's rumble died. Baizhang lifted the autumn moon all the way over the peak. Depicting hundreds and thousands of scenes. Setting down his brush, he looks it over. And feels a shiver run through him. And he was turned into a fox -- the first mistake. And he was released from the fox body -- the second mistake. One day Baizhang asked Huangbo, "Where have you been?" "I have been to the foot of Mount Daxiong to gather mushrooms," replied Huangbo. "Then didn't you come across a tiger?" At this question from Baizhang, Huangbo instntly roared at him, himself becoming a tiger. Baizhang swung up his axe to strike him but Huangbo gripped his teacher's arm, slapped him, and left him, laughing heartily. Later, at the time teisho, Baizhang ascended the dais and said to the monks, "At the foot of Mount Daiyu there is a tiger. You monks should have a good look at him. I myself was bitten by him today." The fox is everything in Asian folklore that it is in Western folklore -- tricky, dishonest, and unreliable. Even more, in the East the fox is the familiar of the witch -- like the black cat in our culture, but more dangerous. There is something occultly nasty about an oriental fox. It can possess you, as it possessed Baizhang the Elder. From the very beginning of Buddhism the effort of the believer has been to purify all past karma. Attaining such liberation, one has no residual cause for a return -- there is no further rebirth, no further suffering. Such a realized Buddha has harmonized completely with essential nature. But far from being liberated, Baizhang the Elder had been enslaved. What was wrong with his answer? Or was he wrong? Baizhang the Elder had said that an enlightened person does not fall under the law of cause and effect. This can be construed in two ways: the literal and the essential. The literal view is the belief that there really can be Buddhas who are harmonized perfectly with essential nature. Then there is the essential view: the integral purity of all beings from the very beginning. Baizhang the Younger says, "Such a person [an enlightened one] does not evade the law of cause and effect?" What is he saying here? On the one hand, Buddha nature is steady and serene; it does not come or go, it is always at rest. On the other hand, everything depends upon everything else. Karma and no karma are inextricably mixed. Life and death, no-life and no-death -- these only seem to be separate matters. Don't just go skipping over the cremation ceremony. Hakuin, a thousand years later, challenged Baizhang on this: "What you doing, old Baizhang, performing a funeral for a fox as though it were a priest?" He is raising an important point. The first essential point of this wild fox story is to make it clear that the practice and experience of the Zen Buddhist No does not negate causality, reason, or morality; the real meaning of No is to penetrate the veil of subjective ideas and imaginings that blind us to objective causal relationships. Thus Zen practice does not exempt us from what is actually happening; it frees us to see what is really happening. What Zen exempts us from is the compulsive need to assure ourselves that the world is as we have learned to assume it is. It frees us from the mesmerism of wishful and fearful thinking. It opens the door to reality. Huangbo's "slap" symbolizes the dismantling of the framework of the teaching event once the point had been made. 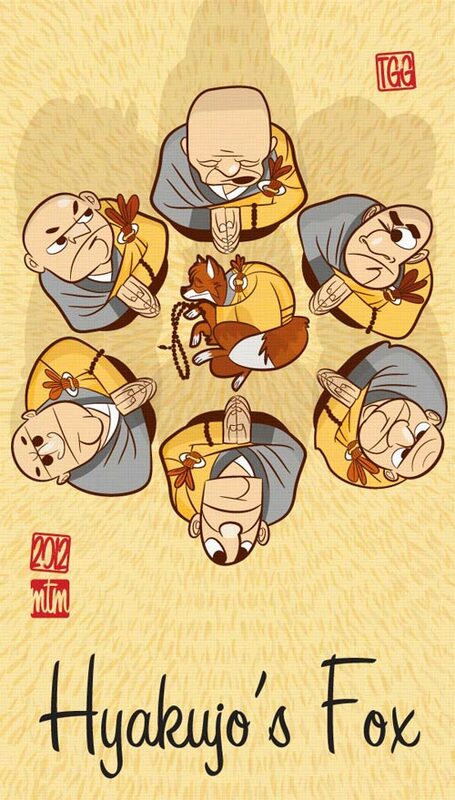 The phantasmagoric nature of the event in Baizhang's story symbolizes the expedient nature of the teachings. "I thought foreigners' beards were red; there is even a red-bearded foreigner here!" In Zen idiom this means, "I know what Zen masters are like; here is another Zen master!" This was Baizhang's recognition of Huangbo's mastery. A positive interpretation of the old man's denial of subjection to causality means artful and creative participation in the world, by free will rather than compulsion. This is what Wumen refers to as "five hundred lifetimes of elegance." "I am not a human being." This case is acted out against the background of this affirmation. You are not a human being either. You are not a body or brain, not a soul, spirit, nor even Buddha nature. And you are most certainly not nothing. But please resist the temptation to ask, "Then what am I?" This lust to be something is the cause of all karma. Awakening to the faith mind by which one enters into the vast mystery of knowing and being comes when you see clearly you are not a human being. The old man says, Yes, there is a possible way out of the rat race, so he is punished by having to live or five hundred lives as a fox. Whay was he punished? After all his is only telling us what we would expect. Is this not what spiritual practice is about? Do we not practice to free ourselves from the trammels of existence, to find peace and love, to get off the gerbil wheel of samsara? One basic question of this koan is whether we have to bear the consequences of our actions, or can escape them. What is the merit for coming to awakening? If an awakened person is not subject to the law of karma, then, because we are all inherently fully awakened, none of us is. But how can this be possible? Upon hearing Baizhang say, "No one can escape the law of karma," the old man is awakened. When he hears that no one can escape the law of karma, he escapes the law of karma! He is finally released from the fox's body. This is the bite of the koan: I am not a human being, yet as a human being I am subject to the law of karma. The old man did not give the wrong answer, nor Baizhang the right one. Nor is it that simply being one with the fox, the whole world, the church bell chime, we have resolved the whole dilemma. One may get a glimpse of the truth, "I am beyond all form," but that does not mean that one can live in accordance with that glimpse. To live a life of no separation is beyond most of us. This koan is an invitation to an ethical life, a life that is thoroughly grounded in a moral life. Although one gets beyond good and bad, one does not thereby obtain a license to commit evil. Huangbo asks, "Suppose he made no mistakes, what would happen then?" This question sums up the whole mystery of the awakened state: what do fully awakened persons do after they reach full awakening? Is it simply a question of vanishing into nothing? This is what the koan is about. Baizhang happened to find the dead body of a fox and invented the whole story. Causation. A nen is either a unit of thought or a steadily willed activity of mind. Zen theory sees the activity of consciousness as a continuous interplay between a sequence of nen. The first nen always acts intuitively and performs a direct, pure cognition of the object. The second nen immediately follows the first and makes the first its object of reflection. By this means, one becomes conscious of one's own thoughts. The secondary nen integrate and synthesize preceding nen into a continuous stream of thought. These nen are the basis of self-consciousness and ego-activity. The integrating, synthesizing action of consciousness is the third nen. Reasoning, introspection, and so forth come from the third nen. But this third nen, clouded by its ego-centered activity, often argues falsely and draws mistaken conclusions. This delusive thinking in turn interferes with the pure cognition of the first nen. Absolute samadhi cuts off delusive thoughts, the activity of the second and third nen ceases, and gradually the first nen is freed to perform its inherently pure and direct cognition. In this koan, causation represents the effect of each nen-thought on the next. It is not so much the actions of killing, stealing, wronging others, and so on that give rise to evil karma as it is the delusions of nen-thought, which thinks of killing, stealing, or wronging others. When a phenomenon appears, it is there; when it disappears, it is not there. Everything is in constant mutation. But when your mind attaches itself and makes a problem of what there is or is not, then the feeling comes of being a victim of events, of falling under the yok f causation. A child does not feel such a yoke. He simply lives life as it happens and enjoys it because he lives in samadhi. Other animals, as well as plants as minerals, too, are all in a samadhi of their own. Only adult humans have lost the Eden of samadhi because of their deluded thinking. To free your own mind from delusion is the only true emancipation. Baizhang answered, "He does not ignore causation." 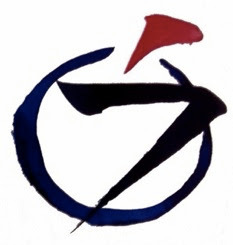 Baizhang recognizes that nen-thoughts always occur, that they necessarily leave their traces in the subconscious, and that hence karmic causation must occur. Thus, to ignore causation only compounds one's malady. To recognize causation constitutes the remedy for it. Red-bearded Barbarian. The text might be paraphrased like this: "I thought Bodhidharma was read-bearded, but now I see before me a red-bearded Bodhidharma himself." 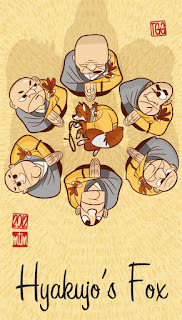 It is probable that Baizhang made up this tale himself, in order to impress on his monks the authority of the law of causation. The old man became a fox because he had postulated an enlightened person and separated himself from the law of causation. Every action brings its own results in the material world, in the realm of the mind and in society. None can break the law of causation. Enlightened person or unenlightened person it makes not the slightest difference. The person who understands the law is wise enough; the person who knows to beware of the law can live righteously. One who does as one pleases, yet stays within the bounds of the law, is a great sage. Those who believe in the power of the church or priestcraft to erase their sins are all foxes; they expose their inability to live congenially within the law and generate evil karma. Huangbo was asking, "Where is the person who is always one with the law of causation?" Baizhang did not dare say, "I am that person." Instead, he was about to say, slapping Huangbo, "You are the one, my dear Alfonse," But Huangbo prevented this by slapping his teacher's face: "You are the one, my dear Gaston." Baizhang then clapped his hands and laughed. "I thought the foreigner had a read beard, and now I know it." The point of the koan is to make Zen students realize what real emancipation is, and the superficial ghost story is just a means to illustrate the point. The fact of cause and effect is so clear and undeniable! This being the case, the person of real freedom would be the one who lives in peace in whatever circumstances cause and effect bring about. He is causation itself. What is the old man? What is Baizhang? Neither is a human being; neither is a fox. Anything is just "it." Anything is just causation. When the whole universe is causation itself, how can there be "falling" or "not falling"? You may say, "not ignoring causation," yet if you become attached to "not ignoring" you are turned into a fox. You may say, "not falling into causation," and if you do not become attached to it, you are released from the fox body. Falling and ignoring should both be broken through and transcended. Baizhang's reply means that "an enlightened one does not ignore the fact of cause and effect, but lives according to it." This answer is opposed to "He does not fall into causation." Why did Baizhang dare to give such a contradictory reply, which stands over against the Mahayana teaching of emancipation from transmigration? The inexpressibly deep significance should be found here. One has made an irreparably fatal mistake if he thinks that "not falling into causation" is an incorrect reply while "not ignoring causation" is correct. Zen makes free use of both "not falling" and "not ignoring." Approaching Baizhang, Huangbo gave his teacher a slap in the face. Did he mean, "Your reply -- I'll give it to you"? Wonderful indeed is the greatness of Baizhang. Splendid indeed is the freedom of Huangbo. the Master and the disciple are living in the same spirituality, and the great working of Zen is here naturally developed. The point of the koan should be clearly grasped here. In accordance with the law of cause and effect, all phenomena are constantly changing. They have no definite form. On the other hand, the essential nature of things does not change. The phenomenal and the essential are two different aspects, but they are two aspects of one substance. From the very beginning, they are intrinsically one. Phenomenally, the man becomes a fox, and the fox becomes a man. Essentially, there is no change. It is always the same, from the very beginning, now, and on into the endless future. "I thought the barbarian's beard was red, but here is a barbarian with a red beard!" In everyday language it would read something like this: "I think I am a deeply enlightened person, and I acknowledge that you, too, are deeply enlightened." Baizhang recognized that Huangbo had presented the genuine activity of his essential nature in a most lively way without even a trace of delusive thought or feeling adhering to it. A fox life of 500 lives is nonetheless the life of grace. This is because when (the elder) Baizhang was a fox, he was the only fox in the whole universe, and when he was restored to being human, he was the only human in the whole universe. In spite of phenomenal changes, the essential nature does not change in the slightest from the beginning. Long ago, in a pool hall, two novice monastics, having slipped away from Henhouse Monastery for an evening of what at the time seemed to be freedom, were playing eight-ball. Clack! went the cue against the solid five -- such a whole and lovely sound, and the polished colored sphere rolled so beautifully toward the pocket. "Cause and effect, right there," said one monk. "Does an enlightened person fall under the law of cause and effect?" "What's 'enlightened'?" said the first, and winked. Then added, as he took aim at the deep blue two, "Ask the master about that." Clack! The next day, at afternoon samu in the garden, the two were pulling weeds. Weeds, weeds, and weeds. "About the falling under causation thing?" "He said an enlightened person does not fall under the law of cause and effect." "Huh. What about an enlightened billiard ball?" "I didn't ask. Wouldn't've had a chance to anyway. He turned into a fox and ran away." Another weed pulled, and then another. "Do you think he'll be back for the evening teisho?" Five hundred fox-lives later, the latest Master Henhouse is giving the evening teisho. "Monastics," she says, "as to old Gotama's second point, many of you have been getting it wrong. It's not that dukkha has a cause, but that dukkha has effects. 'Birth, aging, illness, death, union with what is displeasing, separation from what is pleasing, not getting what one wants' -- these things are dukkha and they cause reactions. Greed, hatred, delusion -- attachment and aversion -- are effects of dukkha. These effects can, in turn, cause further dukkha, but old Gotama's primary point is that reactivity is an effect of dukkha." That night as Henhouse prepares for sleep she hears a scratching at her door. Opening it, she finds a fox. "I was listening to your talk from outside the hall," says the fox. "Would enlightenment free one from the law of cause and effect?" asks the fox. "The law of cause and effect? Are we talking about billiard balls?" "What I mean is," says the fox, "this reactivity you were talking about. Can one be liberated from reactivity?" "Oh, THAT law of cause and effect. Gotcha," says Henhouse as she steps out and sits down beside the fox on the portico floor. "Yes, liberation is possible." "It would be lovely to not have reactivity -- to be free of that for good." "'Liberated from' does not mean 'free of.' 'Liberated from' means not having to be controlled by reactions. There will always be reactions. To avoid falling under their control requires paying careful attention to them. Attend to the arising of a reaction, attend to its budding and blossoming. Investigate into its nature at every step." The fox silently stares off at the distant moon rising over the treeline. At length he says, "I once told a monk that an enlightened person does not fall under cause and effect." "I heard there was a master here once who said that, and then became a fox." "You were right, what you said. The law of cause and effect cannot be obscured -- not if one is manifesting enlightenment. In delusion, though, we continually obscure cause and effect from ourselves. When the roots of reactivity are not investigated and remain hidden, reactivity dictates our actions. In so far as we manifest enlightenment, however, reactivity is revealed, inspected, known, and thus -- only thus -- is falling under it avoided." "So...the enlightened person does not fall under cause and effect BECAUSE she doesn't obscure it." "Because? Yes. Attention to reactions is the cue ball that knocks us out of being controlled by reactions." Some weeks later, Henhouse told her senior disciple about the encounter with the fox. "So, if the old Master Henhouse had given a different answer, would he have turned into a fox?" asked the disciple. "You've been around this block a few times. Don't make me say it. You say it." "That's fine if you want to cut through the question. We have cut through a lot of questions together and seen the essential matter -- mountains and rivers and the great wide earth all included in that resounding 'clack!' Perhaps we'd like to step off our 100-foot pole and give such an answer as would be compassionate to a novice who asked?" "Clack!" said the disciple again. "OK. Here's what I might offer, not even to a novice, but to an audience of nonpractitioners. I'd say it didn't matter what answer the Old Master gave. For many years Old Master Henhouse had been ardently seeking to stifle all reactions. He sat like a stone because he wanted to be a stone. He exerted strenuous efforts to suppress his reactions. The monk's question brought all his suppression to a head in a moment. Those energies finally pushed him into the body of a fox. It wasn't his answer that did it -- it was the question. He only had time to speak the one sentence before his mental act of considering the question released the culmination of years of suppressive practice." "Your beard is as red as a three-ball," said Henhouse. So utterly free! So totally liberated!